I’m going to pass on the ipod Hi-Fi (discontinued) and stick with my Sonos system. And $99 for a leather iPod case? Yeah, I think I’ll pass on that too. Here’s a sample reaction from the comments section of the Engadget livecast. how can jobs say he’s an audiophile when iTunes sells crap lo-fi music and he drops a turd like the “ipod hifi” on the market?!??!? boo apple…was hoping it would be something like the soundbridge or something and maybe lossless music on itunes….. The new Intel-based Mac Mini, on the other hand, looks promising. 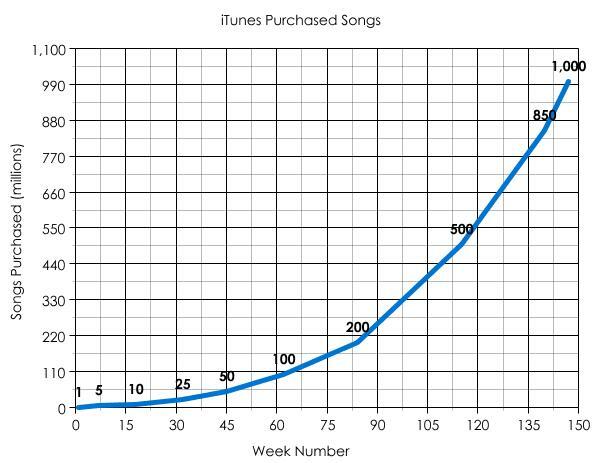 How much longer until HD content is available on iTunes? 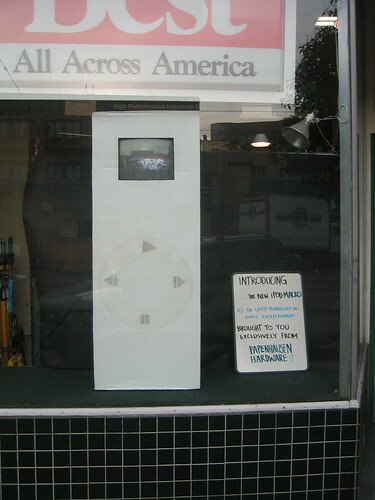 The iPod Macro, spotted in the window at Papenhausen Hardware in the West Portal neighborhood of San Francisco. It’s hard to tell in the photo but the screen is a small TV set. 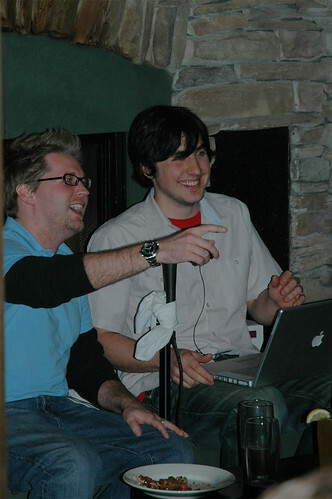 Diggnation did a live show at Beach Chalet last night. More photos here. I tested out the new Google Page Creator and, I have to say, I’m pretty impressed with the WYSIWYG tool, but I’m not really sure where they are going with this. I was able to build this page in about 20 minutes. 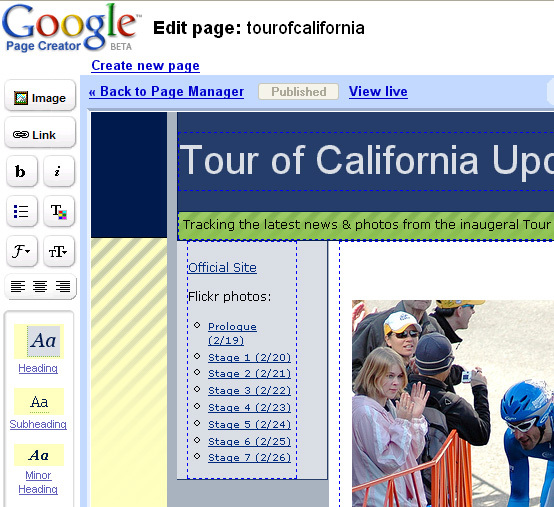 I just worry that this is going to be Google’s version of Geocities. This one-line review spotted on Flickr pretty much sums it up: “No RSS? What is this for, cat photos?”.